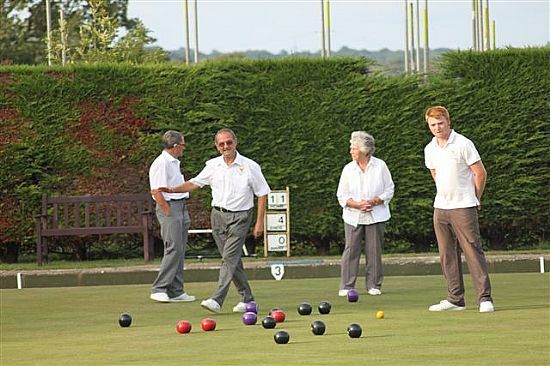 Ever thought of taking up Lawn Green Bowls? Now's your chance to give it a try. We have a qualified coach who will give you 4 free lessons before you make a final decision. 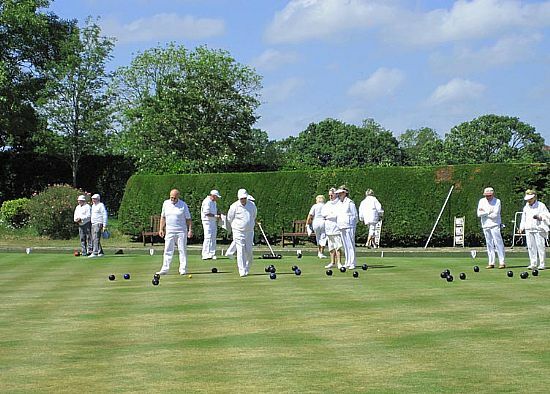 Hailsham Bowling Club are holding their annual OPEN DAY on Saturday 28th April 10.00 am to 1.00 pm. Come and meet us, we are behind the Leisure Centre. Please bring/wear flat sole shoes, we will provide all the equipment. The activities open to members include friendly and informal roll ups, club competitions and matches. The matches may be either for men only, ladies only or mixed. There are also a number of Club Afternoons during the season when fun drives are held and an internal triples league, the Aubrey Crowe League, which is played on Tuesday evenings. Novice Bowlers will be helped to develop their skills with coaching from experienced bowlers and may borrow bowls from the Club while they decide what is right for them. The Club enters several county competitions such as "Top Club" and the "Double Rink" and a number of individual members enter other county competitions. The ladies are members of the Eastbourne Ladies Midweek League which plays on Wednesday mornings throughout the season and because of this our ladies may enter the town competitions. We are also members of the Horam Mixed Triples league. There is a full programme of club competitions and last, but not least, there are usually half a dozen social events, such as Quiz Evenings, held each year.